My new coworker told me the best thing this last Monday! Talk about words to make a day! I love fresh chicken eggs with there dark sunset yolks! My wonderful coworker has 15 chickens and all are in egg producing years! Score! 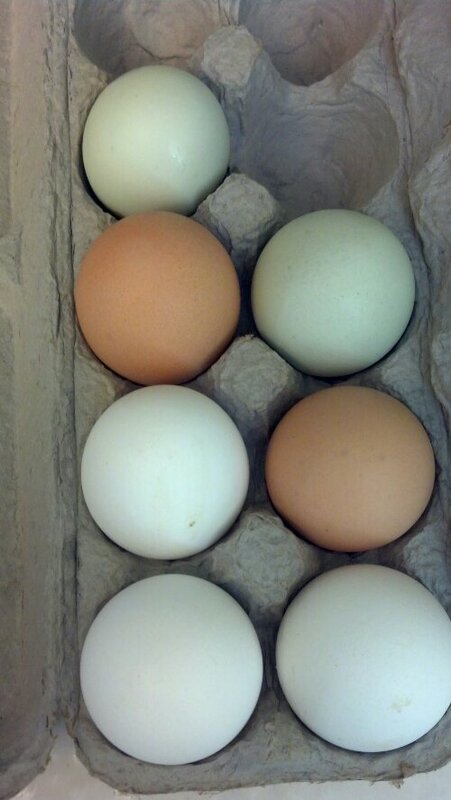 Her chickens lay the prettiest eggs in colors of green, brown, and white. Breakfast was most enjoyable with a fried egg, toast and a cup o f strong coffee!